← Did Vinnie Ruggiero Create Alan Dawson’s Swiss Rudiment Innovations? SKF NOTE: Jackie Santos, according to the latest info I’m finding, is now a Percussion Professor at Berklee College of Music in Boston. He is also keeping busy in other areas of teaching and performing. Good! I enjoyed my time with Jackie very much. He is a dedicated, excellent player — and a great guy. 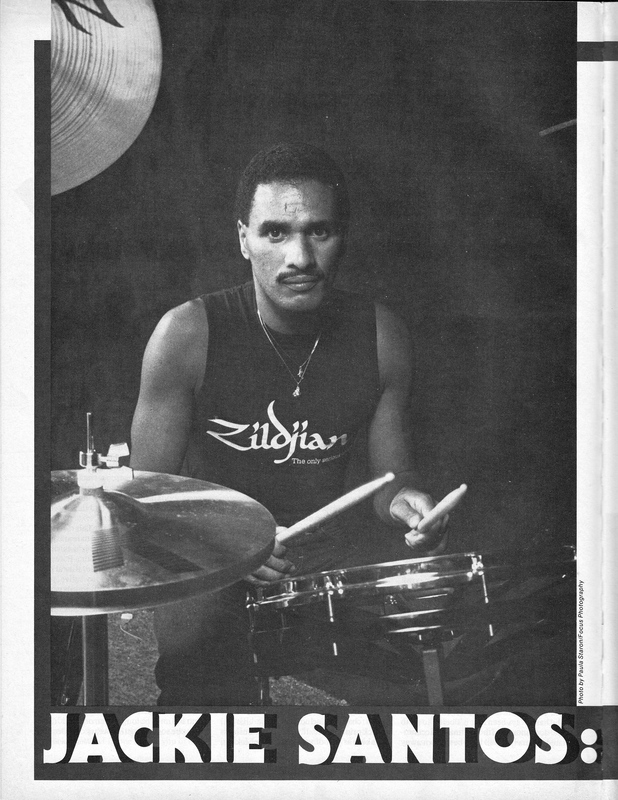 Jackie was touring with the group Tavares in 1983 when I interviewed him for Modern Drummer. 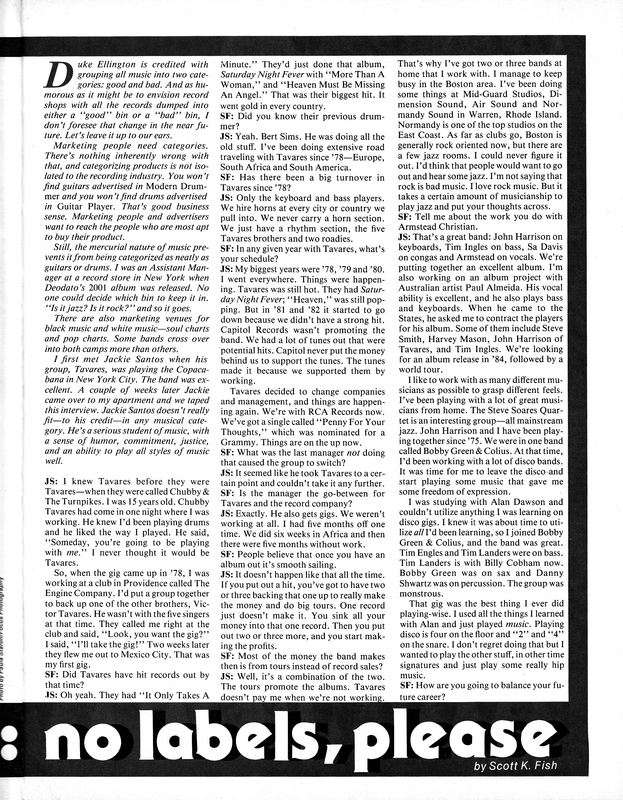 This entry was posted in SKF Blog and tagged Berklee, Drummer, Jackie Santos, Modern Drummer, Scott K Fish, Tavares. Bookmark the permalink.